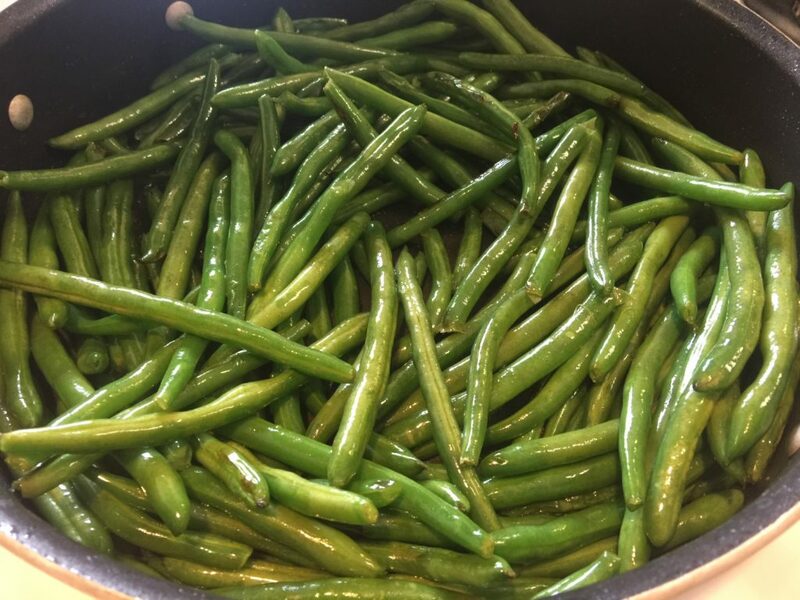 I am not a fan of many vegetables….but fresh green beans are another story altogether. 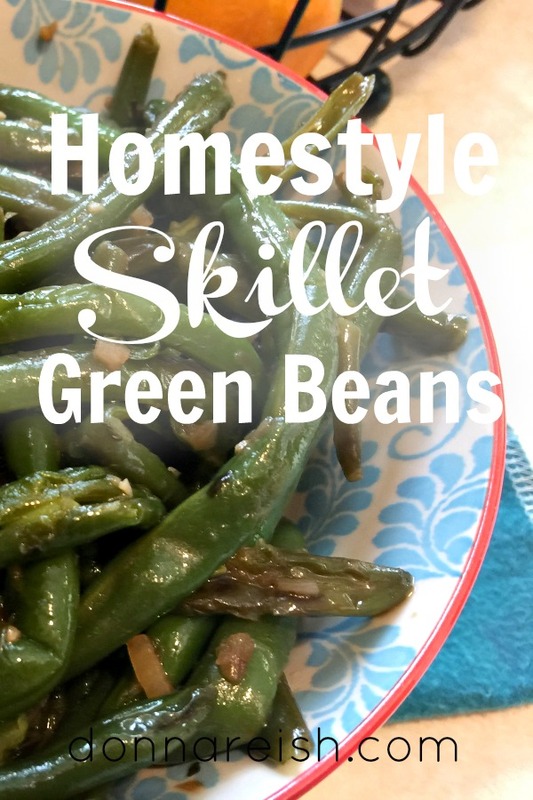 I adore them–and I have been known to make them every single week in my Parmesan Roasted Green Beans, Crock Pot Green Beans and “Potatoes,” or this homestyle recipe. I don’t like snapping green beans by myself. Ever since I have been married, snapping beans has been a family affair. 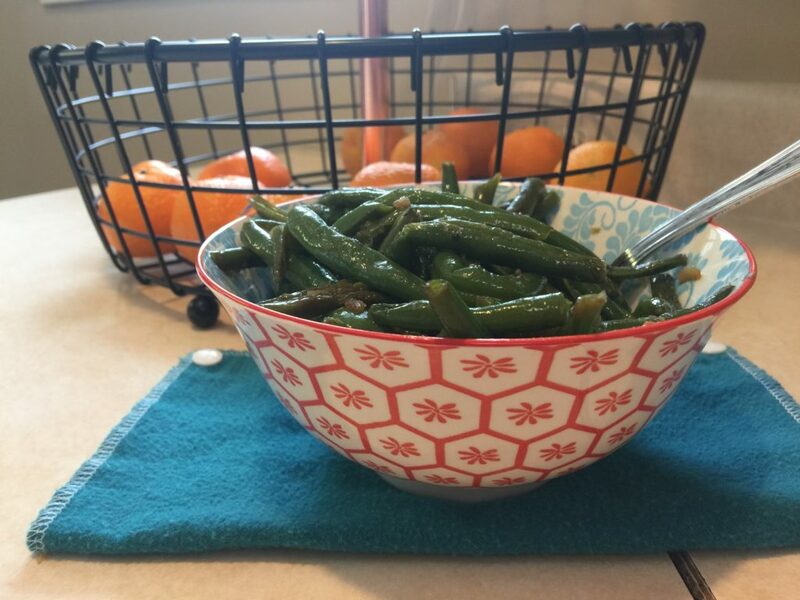 My husband and I would put in a movie and snap buckets of green beans from our garden when we were first married. And later I would read aloud to my kids for hours as they snapped beans, peeled potatoes, cleaned fruits, etc. As a matter of fact, just recently, my twenty-year old son came in when I was cleaning veggies and said, “Do you remember when we would all gather around the table with fruits and vegetables and clean and cut all morning long while you read The Chronicles of Narnia series aloud to us? And how we never wanted to stop even when we were done with the produce? I miss those days!” Be still my heart…. Coat beans with bacon grease thoroughly and “fry” them. Fry beans until they “blister” and pan is somewhat dry. 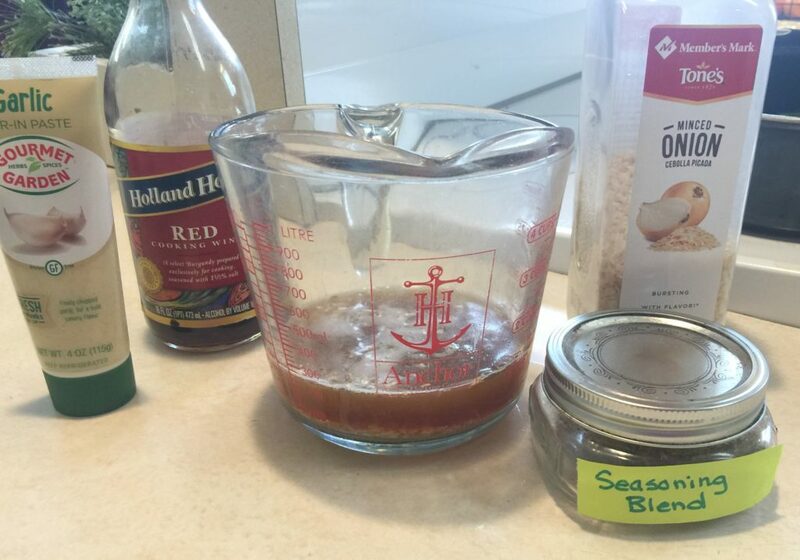 Combine broth, red wine, minced onion, seasonings, bay leaves, and sweetener. Speaking of bacon vs bacon grease vs olive oil. If you do not want bacon pieces in your beans (or you don’t have bacon on hand), you can just use bacon grease from your bacon grease keeper (you do have one, don’t you???). I speed up this recipe some by using bacon I have baked and put in the freezer and bacon grease from my bacon grease crock. (See Baking Bacon here!) And, of course, you could use turkey bacon and olive oil, if desired. Simmer beans in the broth mixture. 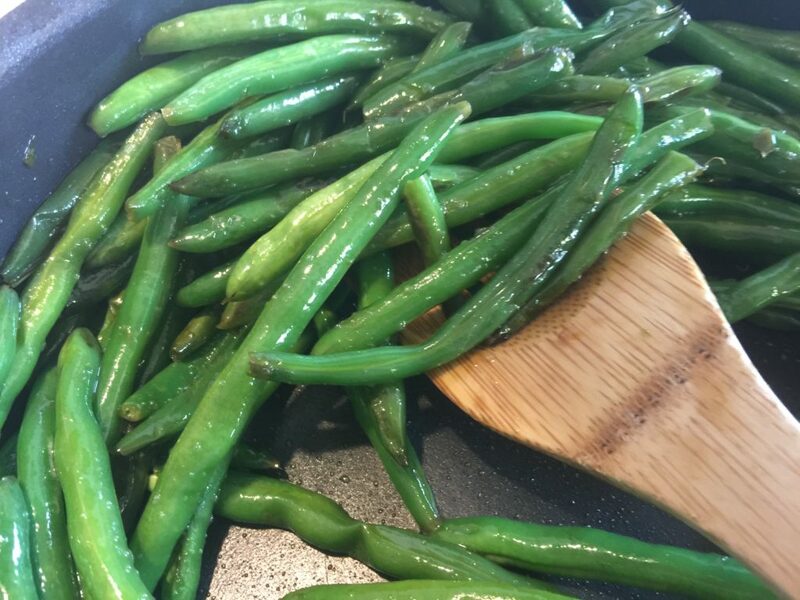 I personally add sweetener to my Homestyle Skillet Green Beans. Some prefer their green beans saltier with no sweet taste. If you’re not used to the sweet taste in your beans, I don’t recommend using it the first time you make these. 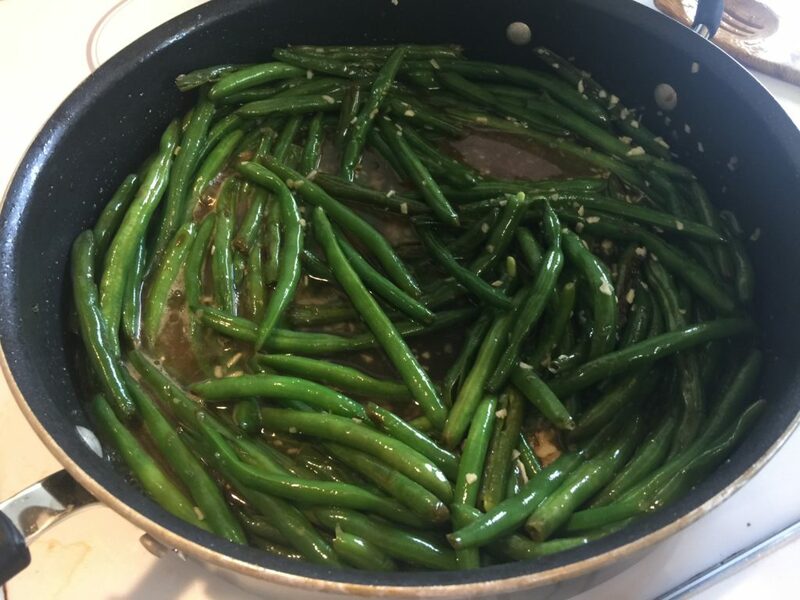 1) The first real key to these flavorful beans is in the stir frying in the bacon grease. The beans must be dry in order for the yummy grease/oil to fully coat and saturate the beans. This is why frozen ones do not work as well. If you must use frozen ones, try not to use old ones that have ice on them. I recommend that you let the beans defrost in a colander and dry as much as possible before using them in this recipe. 2) The cook time and amount of broth may also need adjusted if using frozen beans. Frozen veggies are par-cooked, so they will not need as much time in the broth to cook. I would start out with half the broth called for and half the time called for. Test, add more broth, cook more, etc. as needed. 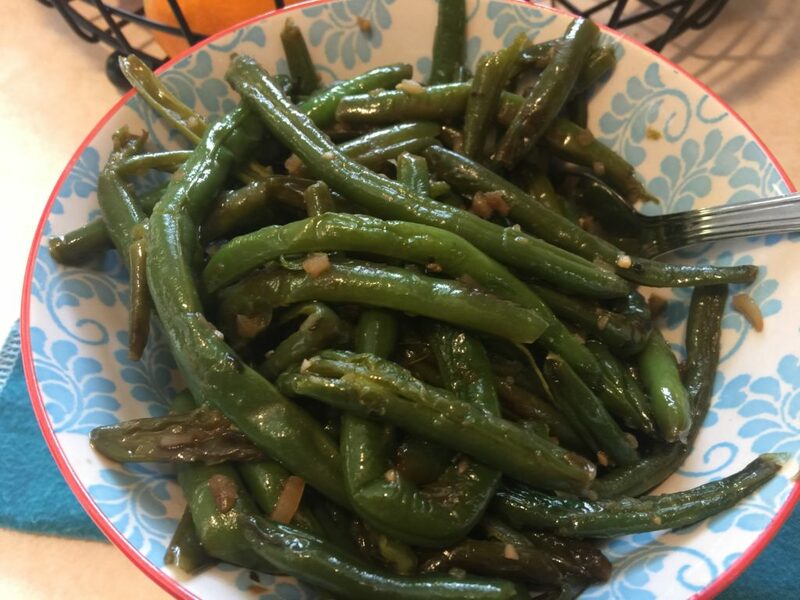 Okay, that’s a lot of talk for a simple green bean recipe, but these are worth the extra attention to get them right. They are definitely replacing our “frozen green beans in broth with bacon bits and minced onion” for Christmas dinner! Clean beans and allow to dry thoroughly. Cook bacon in huge skillet or high-sided pan until done but not overly crisp. If not using bacon, add the bacon grease to the pan and heat until melted and hot. Meanwhile combine the chicken broth, minced onion (if using it), red wine, seasonings, bay leaves, and sweetener (if desired). Pour this broth mixture (2 cups if you like crispy beans; 3 cups if you like "wilted" beans) into the pan, stir to combine well. Simmer on low with a lid half on/half off for 45 to 60 minutes, stirring frequently. (Cook time will be based on how "done" you like your green beans.) I cook mine until most of the liquid is absorbed. If you have a lot of liquid at the end, you may desire to drain them. 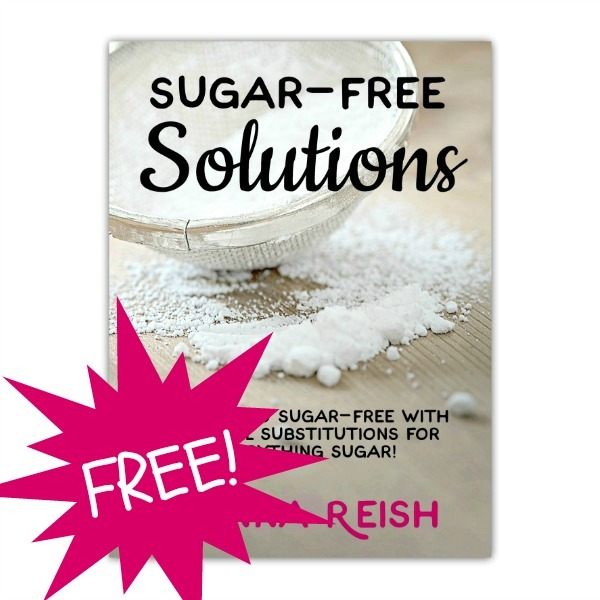 Adjust seasoning/sweetener as needed. Serve immediately.